By Jake Rocheleau in Toolkit. Updated on August 21, 2018 . 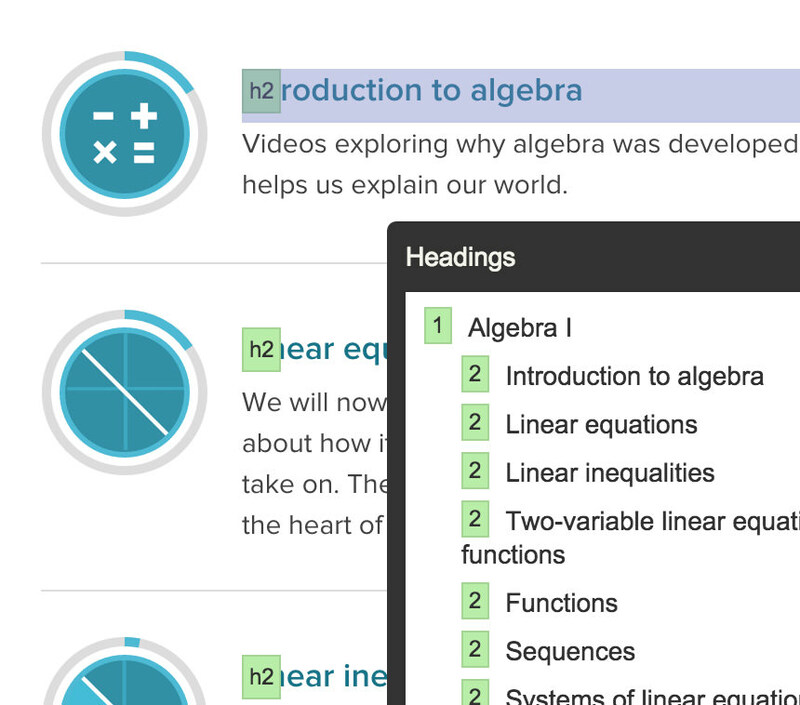 Tota11y adds a small toolbar onto your page and runs dynamically across the entire DOM. 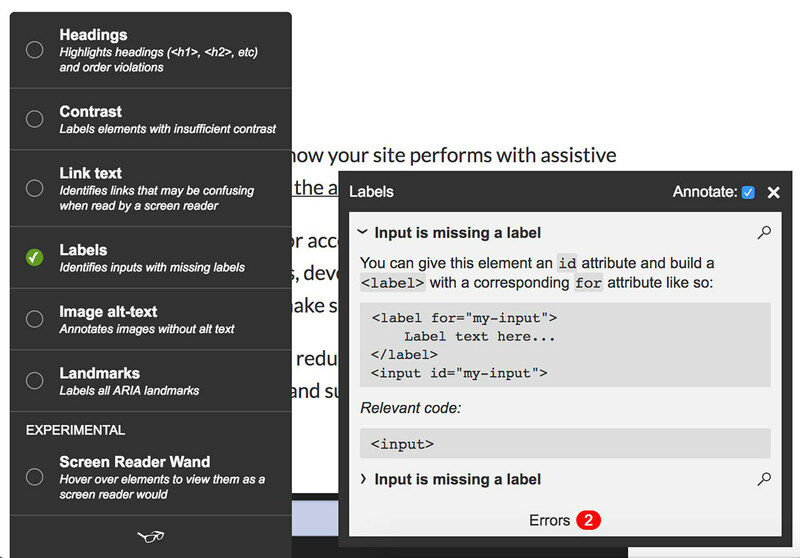 Whenever you click an element you’ll get a small expanding box with details covering accessibility problems.